Sean and Shannon LoganPIND offers a unique twist to the traditional 5K by incorporating Viola’s “Kick-a-thon” concept. 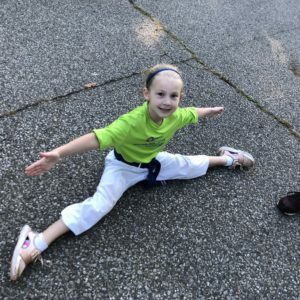 Viola explains, “There are a lot of in-house kick-a-thons that take place at schools, but none that actually kick for distance in the heat. 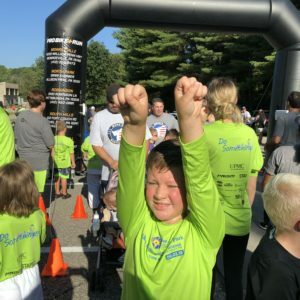 This is the first of its kind.” The estimated amount of kicks thrown by each participant was 1500 and with over 100 students, the total number was approximately 150,000 kicks. 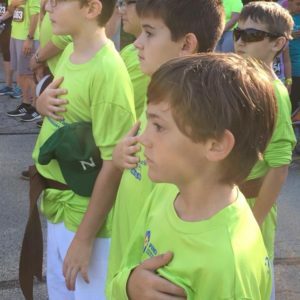 The Viola Karate Dojo has made it their mission to KICK Parkinson’s disease—literally by assembling over 100 students kicking one mile non-stop though the racetrack at Boyce Park in Monroeville. 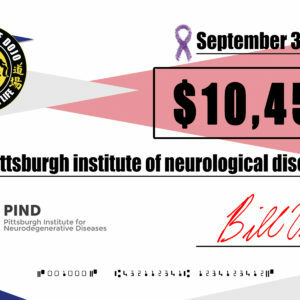 The students showcased their skill during record setting heat and donated over $10,000 to aid The Pittsburgh Institute for Neurodegenerative Diseases (PIND) for research. 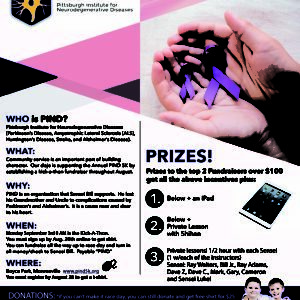 In all, over the past three years, the PIND event has raised over $1 million dollars through appropriations, grants and sponsors. 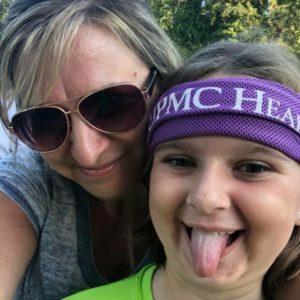 100% goes directly for experimental tests in hopes of finding the cure in Pittsburgh. 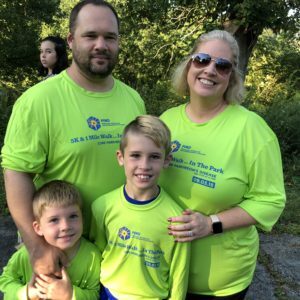 9-year-old Mike Barone led the group of by donating nearly $2015 followed by 11-year-old Aidan Thornton ($900) and 5-year-old Madden McKeever ($800). 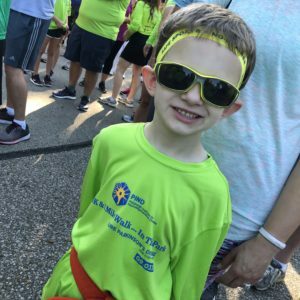 In just three years, through corporate sponsorships and race participants the 5k race, walk and KICK has surpassed over $300,000 in total donations for PIND which brings the grand total to over $1 million dollars in funds. 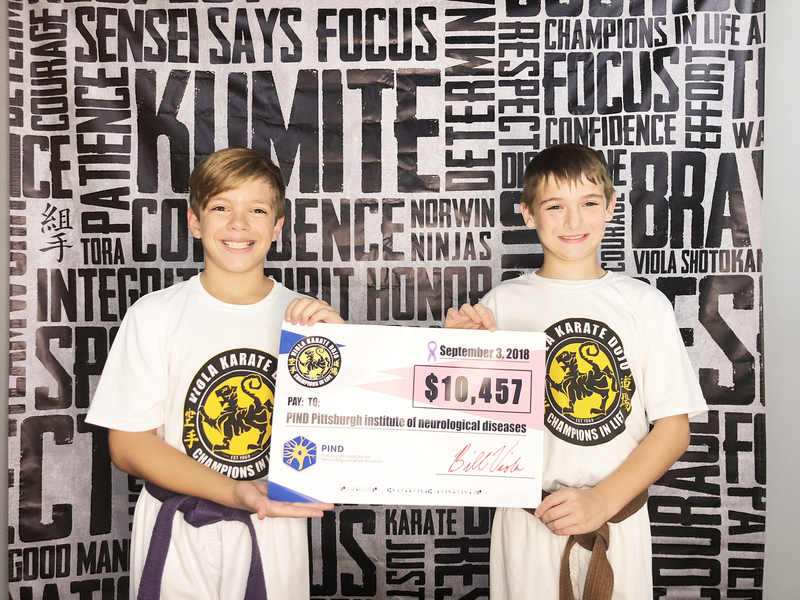 Viola has been involved in charitable work since his Senior year at Pitt, when he established Kumite International Collegiate Karate scholarships (The Acronym KICK). 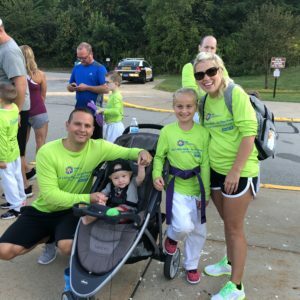 The partnership program with Western PA Police Athletic League and Eckert Seamans Law Firm allocated $50,000 in scholarship funds for karate athletes. The program made national news when Lynn Swann (The Chairman of President George W. Bush’s Council of Physical Fitness and Sports) presenting the scholarships with Viola at the 2004 Kumite Classic in Pittsburgh. The $1 Million Dollar Mark!! WHO is PIND? 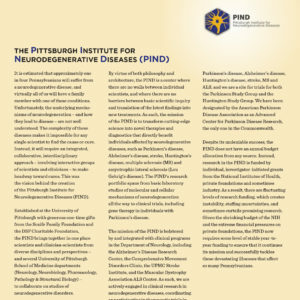 Pittsburgh Institute for Neurodegenerative Diseases (Parkinson’s Disease, Amyotrophic Lateral Sclerosis (ALS), Huntington’s Disease, Stroke, and Alzheimer’s Disease). 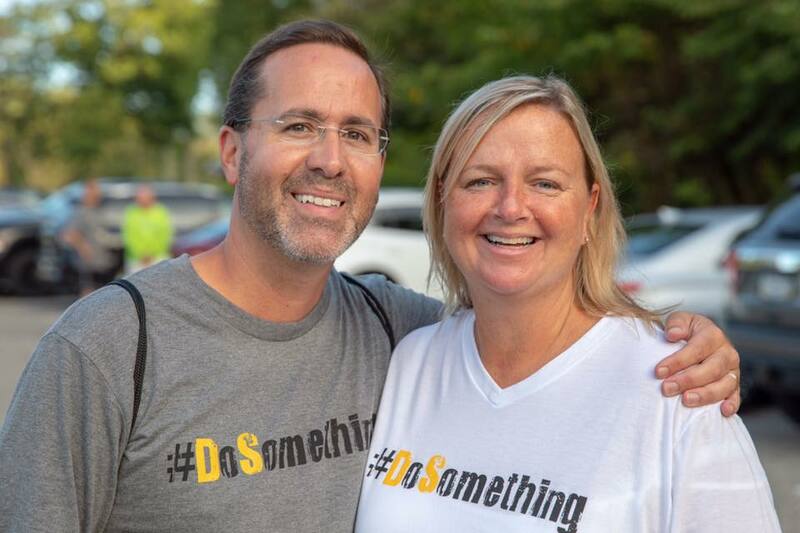 WHAT: Community service is an important part of building character. 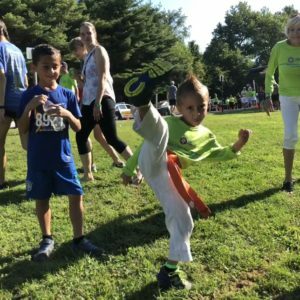 Our dojo is supporting the Annual PIND walk/run by establishing a kick-a-thon fundraiser throughout August. 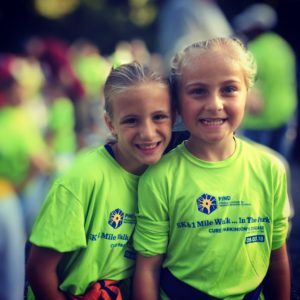 Students will kick in 1-mile kick-a-thon and parents are welcome to sign up and walk along side them. 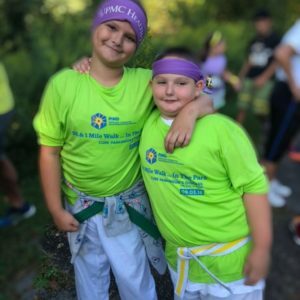 WHY: PIND is an organization that Sensei Bill and all of the Norwin Ninjas and Allegheny Shotokan supports. He lost his Grandmother and Uncle to complications caused by Parkinson’s and Alzheimer’s. It is a cause near and dear to his heart. WHEN: July-August raise money. 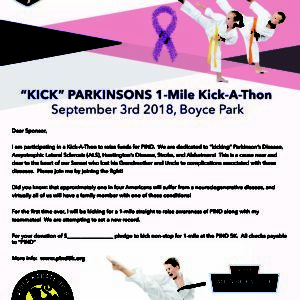 Collect sponsors to support you kicking for 1-mile. Labor Day Monday September 3rd 8AM is the Kick-A-Thon. Students will kick for 1-mile. It’s a challenge! Get ready to sweat!!!!!! 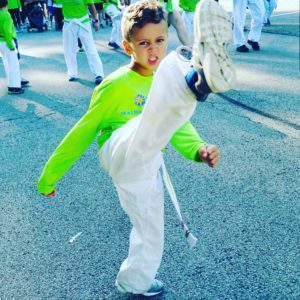 Actual Kick-A-Thon is Labor Day. 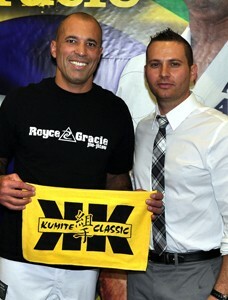 Copyright © 2019 Kumite Classic Entertainment Corp. Designed by Holt Web Design LLC.